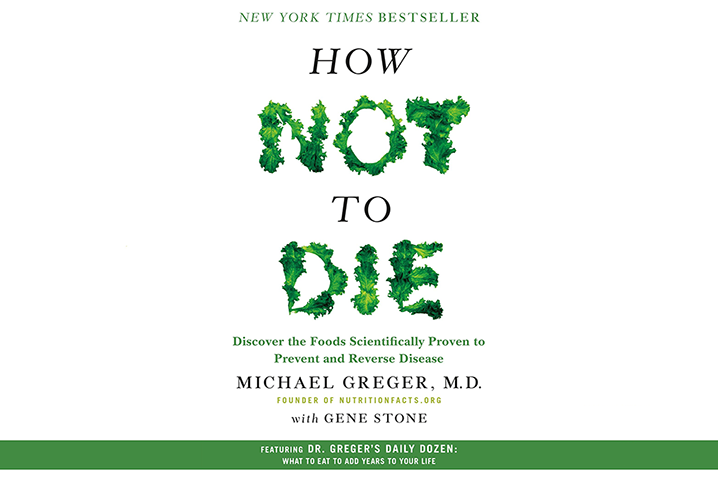 I’m reading a new health-focused book with an interesting title: How Not to Die, by Michael Greger, MD. 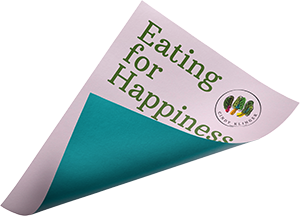 It promotes a vegan diet, which I’m not tied to, but presents some worthy information and useful tips either way. I’ve been enjoying reading it, and would love to share some of what I’ve learned with you here! Don’t forget about fiber. Dr. Greger purports that “only 3 percent of Americans may…reach the recommended minimum daily intake of fiber, making it one of the most widespread nutrient deficiencies in the United States.” He explains that humans evolved eating upwards of 100 grams of fiber every day–compared to a meek 10 grams or so that most people are getting today. Not only does fiber help us poop regularly (moving toxins out of our body), but they also sweep away excess cholesterol, estrogen and other waste products out of our bodies. If they’re not cleaned up regularly, they’re reabsorbed into the body. The recommendation for women is 25 grams daily, 30-38 grams for men. Are you getting that in? Think fruits, vegetables (particularly with skins on), beans and seeds like flax. Kale it not “out.” A few people have told me they’ve heard that kale is “out,” making way for some new antioxidant-rich exotic new find, and this baffles me every time I hear it. How can a vegetable be out? This isn’t like capri pants or bell bottoms! Dr. Greger points out some fascinating information about this leafy green superstar: “Japanese researchers tried dripping a minute quantity of kale on human white blood cells in a petri dish, about one-millionth of a gram of kale protein. Even that miniscule quantity triggered a quintupling of antibody production in the cells.” And, the cooked version seemed to perform even better. Broccoli is a classic, too–just like other cruciferous veggies. These boost our immune system and also protect us from environmental toxins. Aim to eat veggies again and again. Researchers have found that phytonutrients, plant chemicals in foods like fruits, vegetables, tea leaves and beans can actually block dioxins, a group of pollutants, in vitro. The catch? “These phytonutrient effects lasted only a few hours, meaning you may have to keep eating healthy foods, meal after meal, if you want to maintain your defenses against pathogens as well as pollutants.” That’s why it’s necessary to fill half your plate with non-starchy vegetables at meals. Sprinkle on those seasonings. I find this fascinating: “The food category that averages the most antioxidants is herbs and spices.” Take oatmeal, one of my favorite breakfast choices. “By adding just a half-teaspoon of cinnamon, you could bring the antioxidant power of your meal from 20 units to 120 units.” How cool, and tasty, is that? Is wine a winner? Just like coffee, you might have heard conflicting reports about wine and its protective effects against heart disease. Apparently, this is only true for those who are sedentary. A study that included 10,000 men and women found that for people who already practiced even some basic health-minded behaviors, there was no health benefit to drinking alcohol. This one’s a bummer, I know! There are other too many tips and tidbits to list from this book, which I recommend. A friend of mine thinks it should be required reading! 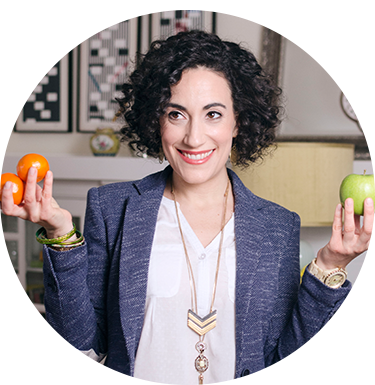 If you check it out, I’d love to hear what you think…drop me a line at gethealthy@cindyklinger.com. Enjoy!